Who knew the Mersey had a pink bottom? A dozen or so of us leaned over the viewing platform, peering down at the bedrock as our guides (or 'visitor-hosts' as they're officially known) Yazz and Danny cranked up the commentary. "What you are looking at," said Yazz to his rapt audience, "are the very foundations of Liverpool," and the nape of my neck went all tingly. I turned to the owlfella next to me and could've sworn he had tears in his eyes - was he really crying or had he just plucked a few hairs out of his nose? Either way it was emotional. 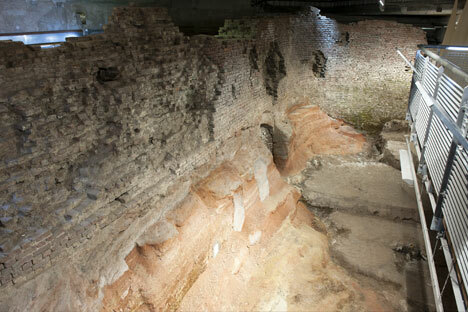 It was June last year when I first went on the Old Dock Experience, an hour-long guided tour of an excavated and preserved corner of (deep breath) the world's first enclosed commercial wet dock. We'd assembled in the foyer of Merseyside Maritime Museum and made the short walk across the Strand/Dock Road onto what's now called Thomas Steers Way; learned about all those little fountains and cryptic messages on the ground and the sheer scale of what lay beneath. Then down we went. To tell the truth the final approach is fairly mundane - underground car-park, set of doors, flight of stairs - but the denouement is pure theatre. Real history meets naked geology in a softly-lit, state-of-the-art interpretation centre which could pass for a fantasy film-set or theme-park ride. The big yellow blocks at the top are the dock's original coping-stones which were once level with the Liverpool quayside. Under them is the 10ft-steep dock wall itself, built with handmade red bricks three centuries ago. Deeper still, the ancient, undulant, piquantly pink sandstone bedrock. I knew straightaway I wanted to write about it. I couldn't quite believe there was no guidebook already. Fourteen months on, I'm delighted to say there is. I've co-authored it with John Hinchliffe, the council's former heritage officer who was instrumental in securing World Heritage Site status for the city. There are a lot of books about Liverpool - an awful lot - but I'm hoping this one's different. As Yazz and Danny say on the tour, without the Old Dock there wouldn't be a Liverpool as we know it: no history as a mighty port, no famous waterfront, no music nor football for that matter. As a piece of civil engineering (by the aforementioned Thomas Steers) it has not only local and national but international significance. When it opened in 1715 it was the first wet dock in the world built specifically to handle cargo, rather than merely provide shelter for ships, and accordingly it made the loading and unloading of goods much faster and efficient and more profitable. Financially it had been a can-hardly-bear-to-look gamble - the town's entire estate was mortgaged to pay for the dock's construction - but it paid off pretty much overnight. 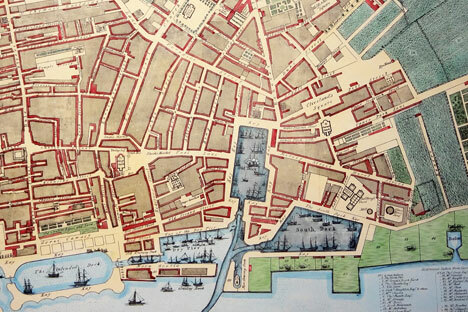 More transatlantic trade in tobacco, sugar and most notoriously slaves meant the construction of more docks and vice versa, enabling Liverpool to leave other ports like Chester and Bristol in its wake and ultimately to rival London. 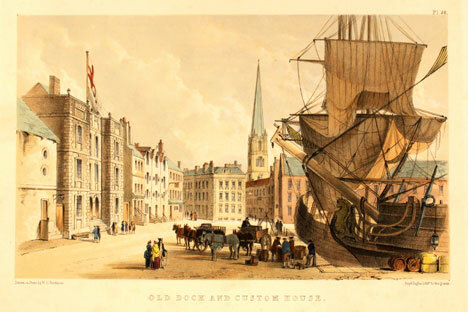 By the time the 'Old' Dock was in-filled in the 1820s - newer docks had rendered it obsolete and in its place a grand new Custom House was taking shape - Liverpool was a global powerhouse of a port. As for the book, it's all been a bit tear-arse. I've taken a crash-course in self-publishing to get it out on time for the Old Dock's 300th anniversary weekend; persecuted the poor staff at Liverpool Record Office without whose calm assistance and incredible collections I'd have given up; leaned on National Museums Liverpool (who run the free tours) and the Athenaeum private-members club for access to their own prized artefacts. But most of all, myself and John are indebted to Liverpool ONE for their enthusiasm and generosity. We gave them some early proofs of the book, they liked what they saw, they got behind it. As owners of the Old Dock facility, which opened in 2010, they made sure their very modern retail-leisure complex paid homage to the history all around it: from street-names acknowledging landmarks and local personalities, to the scheme's actual blueprint superimposed upon the original 'Pool' that once flowed along Paradise Street and out into the Mersey. 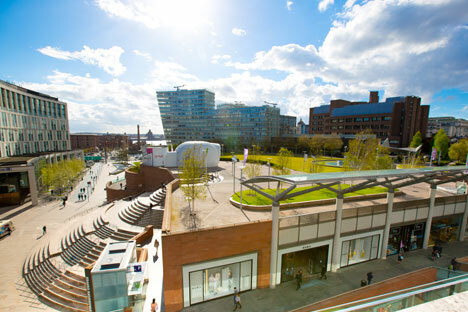 Liverpool ONE is the city's latest great commercial venture. The Old Dock was the first, and it's neatly auspicious that, 300 years on and a couple of miles downstream, a new deep-water facility called Liverpool2 will allow the port to handle the next generation of giant container ships. A brand new chapter in Liverpool's story is beginning. We're proud to have written about a page-turning point from the past. 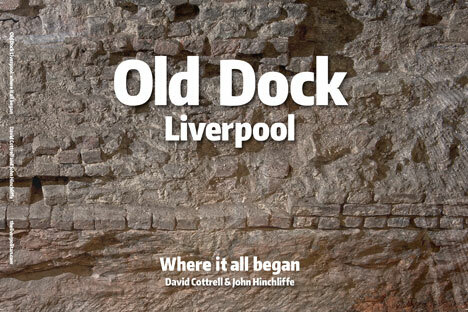 • Old Dock Liverpool: Where It All Began by David Cottrell and John Hinchliffe is published by The Liverpolitan and available from selected outlets in Liverpool ONE and National Museums Liverpool, priced £5. A cherub astride a what? Guggenheim Bilbao: as good as it gets?